Dr. Alexander E. (Sandy) MacDonald retired from over 40 years of federal service in the National Oceanic and Atmospheric Administration, on January 3, 2016. He was a Senior Executive since 1990 and President of the American Meteorological Society in 2015. He retired after 10 years as Director of NOAA’s largest research laboratory, the Earth System Research Lab in Boulder, Colorado. He was Chief Science Advisor for NOAA’s research line, and it Deputy Assistant Administrator from 2006 to 2012. 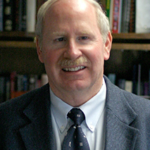 He was Director of NOAAs Forecast Systems Laboratory from 1988 to 2005. He is the inventor of NOAA’s Science On a Sphere, an educational exhibit now in over 130 museums worldwide. He worked with Vice President Al Gore to start the GLOBE Program in 1994. He is the recipient of four Presidential Rank Awards. Dr. MacDonald recently published (January 25, 2016) an article in Nature Climate Change, titled “Future cost-competitive electricity systems and their impact on US CO2 emissions” that was ranked in the 99th percentile of impact by Altimetric. The article presents results that show the US could reduce its carbon dioxide emissions by up to 80% by 2030, by implementing a High Voltage Direct Current transmission network. The article presents a solution to greenhouse gas emissions that could be implemented now with existing technology, and would be also be feasible in other major economies such as Europe, China and India. On April 4, 2016 he joined Spire Global, where he is leading a group that is developing global weather models and advanced energy solutions.